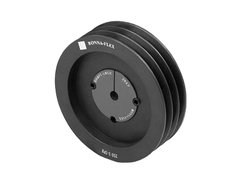 In order to keep pace with changing trends of the industry, we are offering a quality assured assortment of CI Taper Lock Pulley. These products are manufactured with advanced technology and equipment to assure the production of faultless products. These products are extremely appreciated for their durability, reliability, corrosion resistant, abrasion resistant, and long service life. 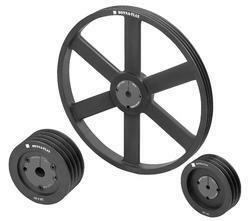 We are a trusted organization of this domain in offering a wide gamut of Taper Lock Pulley to our valued customers. 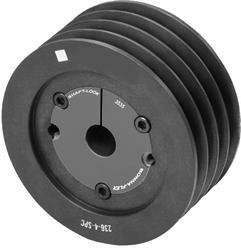 Available in standard sizes, these pulleys are extensively used for higher power transmission, owing to which demanded across the market. Post-production, these pulleys are checked rigorously on various parameters to ensure flawlessness.